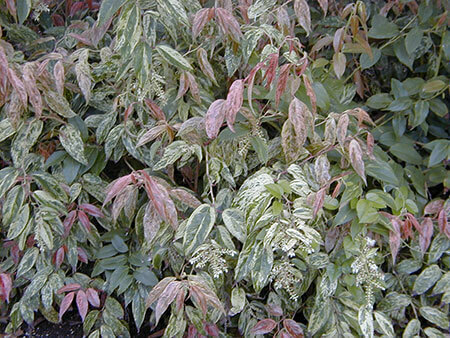 A small evergreen shrub with leathery green and yellow, variegated leaves on graceful arching branches. Small chains of white flowers appear along branches beneath the leaves ion late spring/early summer. Full shade to part shade.